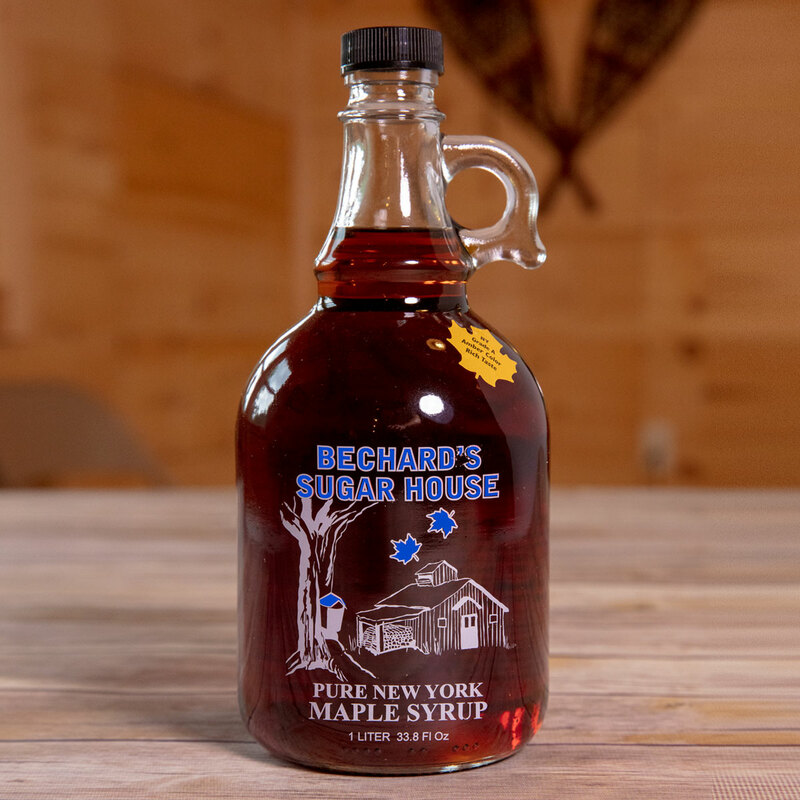 Bechard's PURE NY Maple Syrup - Glass Jug 34 oz. 100% pure NY maple syrup by Bechard's Sugar House. In a glass mason jar with a handle. 34 oz. Available in golden, amber or dark color.